The story of a man's long obsession with a beautiful woman poet, the latest from award-winning novelist Watson (White Crosses, 1997, etc.). Paul Finley, the narrator, has loved Laura Pettit since the summer of 1955 when he was 11, and she, slightly drunk, came into his bedroom one night to talk to him.The family was spending the summer in Vermont, and Laura, 22 at the time, was already a published poet who had come there to spend time with his father, Robert, a noted editor. Confessing that she can't control what she says, she asks Paul to forget her and everything she's said. But quiet, observant Paul cannot forget, and when his gregarious father divorces his mother, who moves with Paul and his sister to Minnesota, the boy continues to think about Laura. During a visit with his father, the now-adolescent Paul accidentally sees Laura and Robert making love. Naturally, this adds a sexual element to his obsession, which only intensifies when Laura becomes a famous poet and national icon. Paul sees her again at his father's funeral, and then, in medical school in the late 1960s, he learns that she is to be a featured speaker at an antiwar rally in Chicago and contrives to cross her path. Laura, whose entourage includes her current lover and her sociopath brother, asks Paul to drop out of school and join them on a bus tour promoting peace; he’s tempted but doesn't. 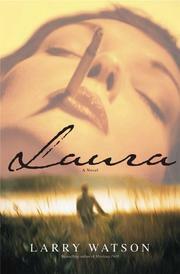 Later, married and practicing medicine, Paul is still haunted by Laura. Convinced that the chest pains currently troubling him are caused by the long repression of his feelings for her, he drives across country to confront Laura at last. A finely wrought, if emotionally cool, tale of enduring passion.